Rev. Theodore Hesburgh and Frankie Freeman at the 1968 U.S. Commission on Civil Rights hearings. Hesburgh served on the commission from 1957-1972. Freeman, a civil rights attorney, was the first woman appointed to the commission. Newspaper clipping on the 1968 civil rights hearings, published in the San Antonio Express. MAYO (Mexican America Youth Organization) organized a protest outside the hearing venue against the Texas Rangers. MAYO members from South Texas came and joined the San Antonio chapter. Hundred brutally beaten and even murdered by Texas Rangers. Civic rights, such as voting and serving on a jury, denied — all remnants of an era of segregation and discrimination. While this time in U.S. history is most often associated with the plight of African Americans, one minority population faced struggles entirely their own. 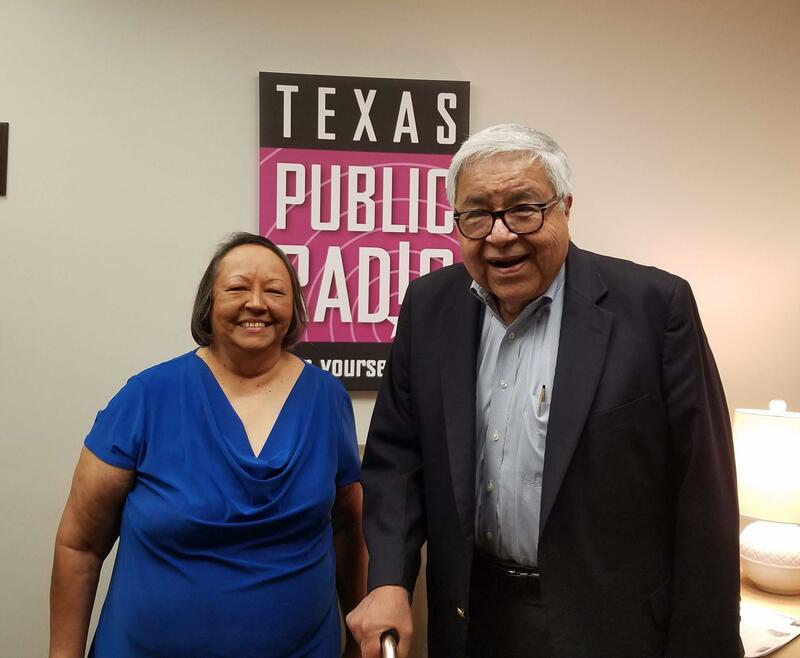 On this episode of Fronteras, we talk to political activists Richard Avena and Rosie Castro. In 1968, Our Lady of the Lake University held a series of U.S. Commission on Civil Rights hearings over six days to address the civil rights issues faced by Mexican-Americans. OLLU is revisiting the event with a conference looking back at the 50th anniversary of the 1968 civil rights hearings, which will be held from Nov. 15-17. Avena, the former Southwest regional director of the U.S. Commission on Civil Rights, and Castro, a political and social justice activist, discuss the injustices experienced by Mexican-Americans in the late 1960s, their fight for civil rights, and look ahead at the challenges facing Mexican-Americans today. Along with examining the past, the conference will focus on the progress of all Latino populations since the landmark hearings in Texas, including advances in civil rights, changes in the country’s demographics, education policies, the administration of justice, economics, employment, immigration, political participation, and voting rights issues. The event is free and open to the public. A full transcript of the 1968 hearings can be found here. In the summer of 1955, Emmett Till, a 14-year-old from Chicago, was visiting family in Money, Mississippi.